Valentine's Day is coming up and we will be posting an arrangement or plant that will be showcased in our Valentine's Day product line each day, we will be explaining the design and flowers used to make them. 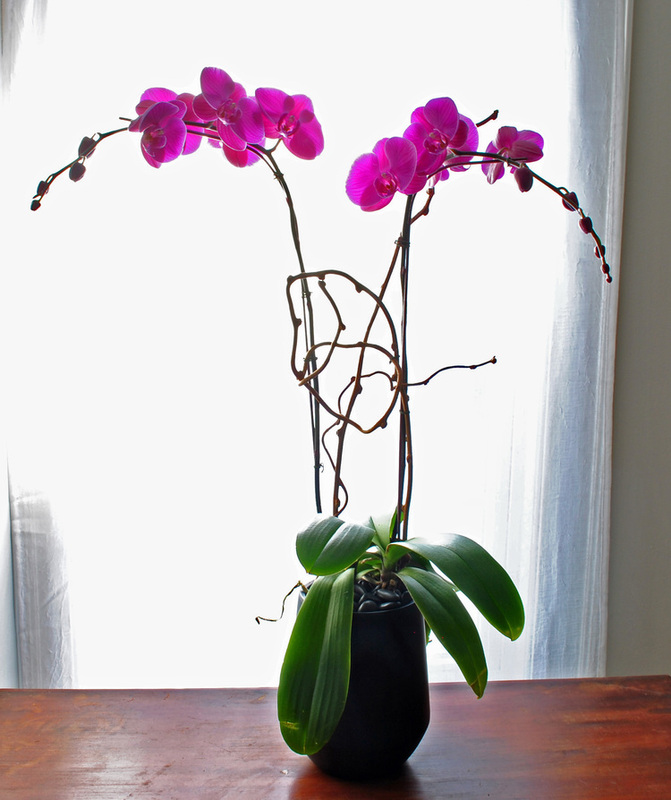 Today we have Grand Orchid, a beautiful Phalenopsis fuchsia colored orchid that we offer in single and double stem. The fuchsia color is very vibrant and rich thatappeals to a more romantic style than a traditional white orchid. This makes a great gift because it is extremely low maintenance and long lasting.